The brewing world has become a complex place in the last decade. Craft beer is now the norm in many areas throughout the country, bringing with it huge diversity in styles and flavors. As a result, bars and restaurants can no longer rely on a sommelier to maintain enough expertise in both wine and beer to satisfy increasingly educated drinkers. Enter, the cicerone. Much like sommeliers, cicerones are certified experts in their field. They learn about virtually every aspect of beer – different styles, pairings, even storage and draft systems. 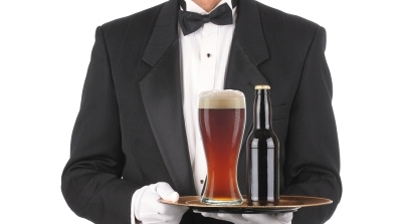 Most budding cicerones get their start in the hospitality industry – most often coming from liquor distributors, behind the bar, and restaurant management. Anyone can learn, though, and starting from a solid knowledge base one can progress through the ranks, becoming a certified beer server in short order and then progressing on to become a full-fledged cicerone in about a year, depending on experience.